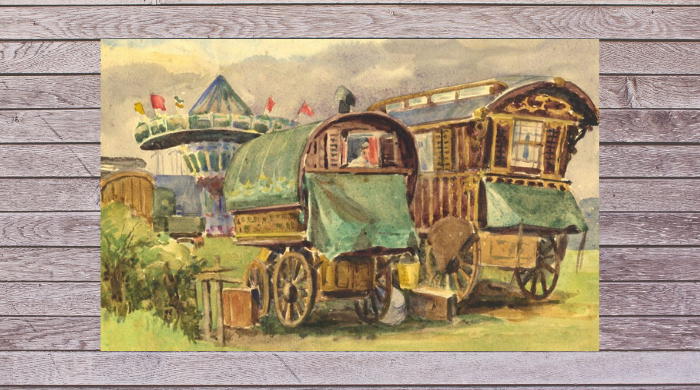 My historical western romances are all connected by my fictitious carnival, Cojocaru’s Traveling Carney Town, which I sometimes call Cojocaru’s Medicine Show, or Cojocaru’s Carnival, or just Cojocaru. It’s fun to include in my various series, and allows me to easily connect books I write with other authors. I can traverse time periods. I first started writing westerns for Debra Holland’s Montana Sky Publishing, set in 1888-89. Then I was invited to write a series called Brides of Blessings set during the California Gold Rush, around 1848. Cojocaru’s is part of the plot in Sweeten the Swindler. Now I’m writing with another group of authors where our settings are in 1878. It’s nice to have something mobile that I can incorporate into whatever series I’m invited to join, when I can fit into my writing schedule. I can have my settings anywhere in America … or in Great Britain. Or, anywhere in the world, or alternate worlds! I plan to have Cojocaru’s in England and Scotland, period around the 1840s for my next set of books in my Mad Magic series. One of my minor characters in the book I’m currently writing was inspired by The Seven Sutherland Sisters, Seven Wonders of the World. As their grand finale, the seven sisters would undo their updos to unfurl seven feet of long, lustrous hair. There was something provocative to this display that had men in awe and women feeling envious. Their father, Fletcher, took advantage by peddling Sutherland Sisters Hair Fertilizer, which brought in $90,000 in its first year. The massive popularity of this and similarly themed products allowed the girls to retire. And just in time, too, as hair trends soon turned shorter when bobs became the haircut of choice. Sadly, wealth did not bring happiness to the Sutherlands, who would long be plagued by scandals over frivolous spending, drug use, alleged witchcraft, and tawdry romances. My minor character will sing and have long carrot-red curly hair that she will unwind to show their glistening lengths in order to sell her hair products. Maybe I’ll tell her story sometime.